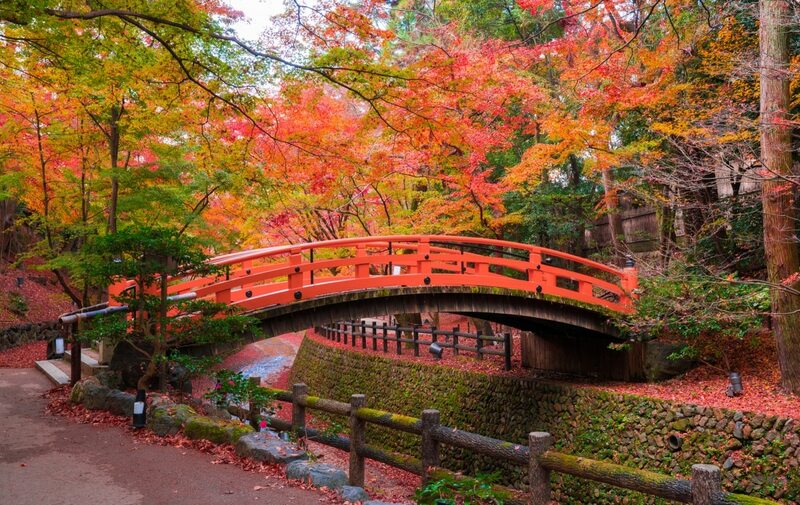 Kyoto is a wonderful city for its nature all year round, especially for fall colors. Every fall we see Kyoto full of people enjoying the ephemeral beauty of fall, taking selfies for social media. Kitano Tenmangu is surely one of the most popular spots for autumn colors, which ranks 19th nationally among all the other spots in Japan! This shrine is famous for red leaves in autumn and plum trees in winter. Therefore, plan in advance for a less busy day to take your Instagram pictures! We can never forget the photogenic Arashiyama for fall pictures. 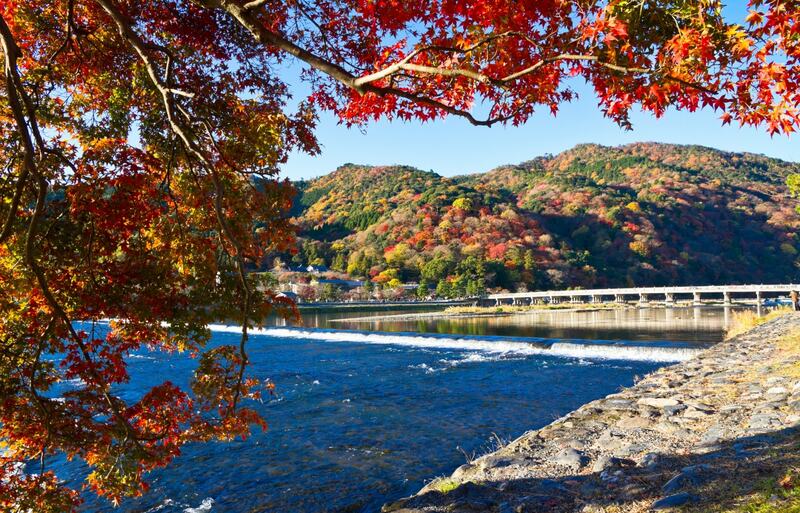 The red leaves on the mountains serve as a romantic background for the iconic wooden bridge and the river—everything comes together to create one of the most stunning scenes you can ever see in Japan. Kyoto Gyoen is the garden of the old imperial palace from when Kyoto was still the capital of the country. As it was exclusively made for the royal family, the garden has well-designed structures and splendid greenery. During autumn, it's a great place to enjoy the autumn leaves like royalty!